A new study by researchers from the University of Illinois at Urbana-Champaign and Georgia Tech claims that a single percentage-point increase in mass transit ridership is associated with a 0.473 percentage-point lower obesity rate in counties across the United States. That eight-page study is based on “computational analysis” of publicly available health, transportation, and census data from 227 counties across 45 states in 2001 and then in 2009. Differences in economic and lifestyle factors including leisure-time exercise, household income, health care coverage, and public transit funding were included, the researchers said. This work “takes a longitudinal approach, meaning that we examined differences between 2001 and 2009, allowing us to better control for factors that could otherwise influence the analysis,” noted study co-author Douglas King, a senior lecturer in the department of industrial and enterprise systems engineering at Illinois, in a statement on Jan. 29. “For example, factors like weather or physical geography that can influence the obesity rate of a county in both 2001 and 2009 are controlled since their impact is present in both time periods,” he said. 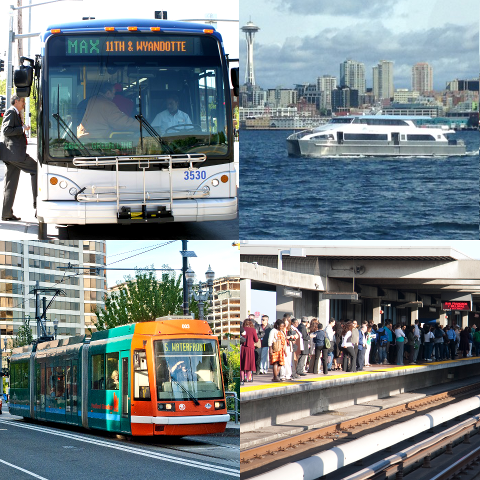 Both of the researchers noted that public transit data collected for 2001 and 2009 is primarily focused on rail and bus transportation, which were the “primary modes” of public transportation in those two years, they explained.